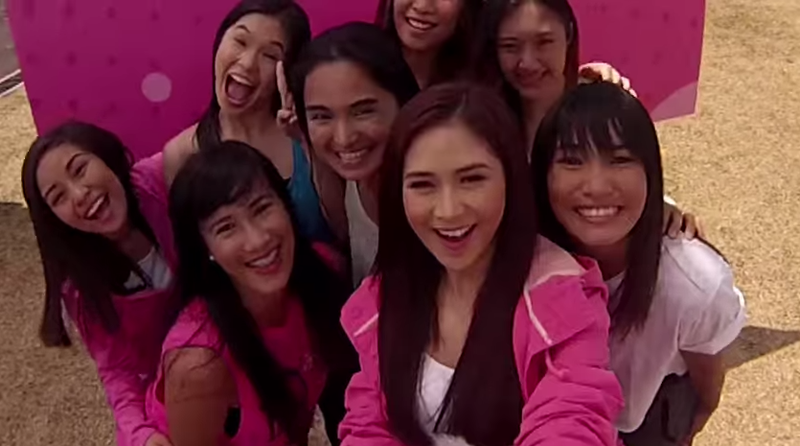 In her latest single entitled Selfie Moment, Sarah sings about being care-free and having the best time with her friends as Sunsilk lets her wear her hair down on every adventure, gimmick and night-out. 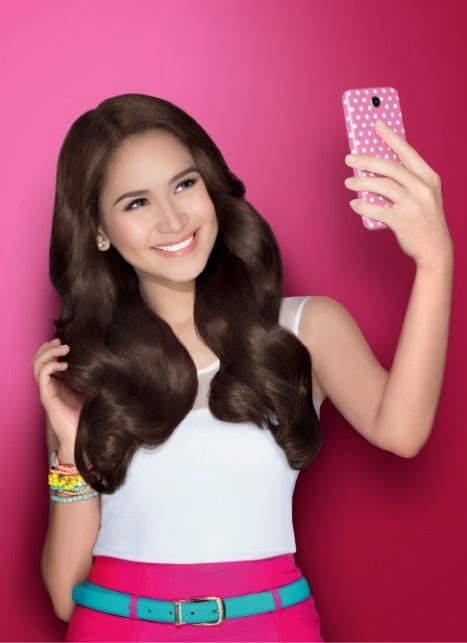 She encourages girls to take selfies to capture the fun in every moment, to have fun and leave all hair worries behind because they have Sunsilk to rely on. Sarah Geronimo and her Hairkada continue to embark on life’s adventures, always with smooth and fragrant hair made possible by Sunsilk. Catch them as they go around the city, while having great hair that calls for a #SunsilkSelfieMoment. Throughout the day, maintaining great hair can be a challenge, especially when it is exposed to heat and pollution. But with Sunsilk’s Smooth and Manageable range, Sarah’s hair is still selfie-ready anytime, anywhere. “I-selfie na yan!” she says as she captures every priceless moment and uploads them on social media. Her hectic schedule does not prevent her from looking good and posing for the camera, because with Argan oil that deeply nourishes hair, Sunsilk makes her hair all day smooth and fragrant. and get a chance to win daily prizes and a special selfie kit from Sunsilk. Keep those selfies coming until May 30, 2015! Sing the night away, Bonding with blogger friends and ehem... mawawala ba ang selfie? 1. Like Sunsilk Facebook page (www.facebook.com/sunsilk). 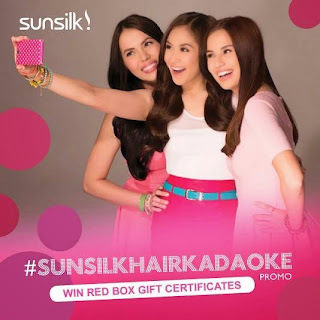 Facebook wall, tag Sunsilk and use the hashtags #SunsilkHairkadaoke #RedBoxDiva. Red Box gift certificate. Winners will be notified via Facebook Messenger. 4. Promo period: May 14, 2015 to June 14, 2015.
branches under Sarah Geronimo’s playlist, or watch the music video via Sunsilk Facebook page.